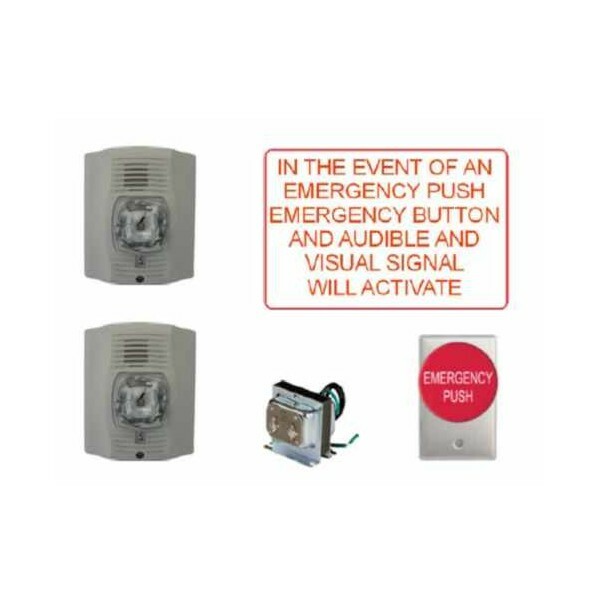 The TA-3230C-KIT is an emergency call system that consists of audible and visual signal devices inside and outside of the washroom that are activated by a control device inside the washroom. 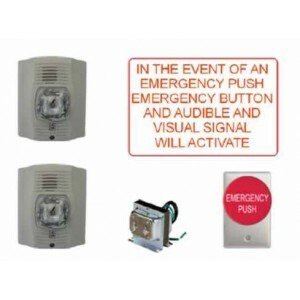 is included and must be applied above the emergency button. Chime/Strobe(s) – 77-dB, 4 x 4 or 2 x 4 Box Reqd. Satin chrome five knuckle hinge.